This week’s notable long-term disability decision is Griffin v. Hartford Life & Accident Ins. Co., No. 17-1251, __F.3d__, 2018 WL 3624872 (4th Cir. July 31, 2018). The Fourth Circuit affirmed the district court’s determination that abuse of discretion, rather than de novo, applies to Hartford’s decision terminating long term disability benefits and its conclusion that Plaintiff failed to show that Hartford Life’s decision was unreasonable. On the standard of review, Griffin contended that the relevant plan documents gave Hartford Life full discretion to determine eligibility for benefits. However, the decision to terminate his benefits was made by Hartford Fire Insurance Company, which is an affiliated corporation in The Hartford group of companies. This was based on the W-2 tax forms for the Hartford employees who made the termination decision which showed that they were employees of Hartford Fire. Hartford Life asserted that notwithstanding the fact that the employees were paid by Hartford Fire, they were employees of Hartford Life and acting solely and exclusively on its behalf. The court agreed with Hartford Life. It explained that all of the correspondence with Griffin was signed by individuals as employees of Hartford Life. The court also relied on an affidavit explaining that Hartford Fire had the responsibility to pay all of the employees of subsidiary and affiliated companies in The Hartford group “for administrative purposes.” For these reasons, the court determined that it was Hartford Life, not Hartford Fire, that made the benefit decision and that decision is entitled to deference. On the merits of the long term disability claim, the court determined that Hartford Life’s decision was reasonable. Griffin worked as a medical transcriptionist until he stopped working due to pain in his forearm and wrists, which later developed into pain in his neck and right shoulder. Hartford Life approved his LTD benefits in 2012, after which time Plaintiff was diagnosed with a herniated disc and underwent surgery. Hartford terminated Griffin’s benefits more than two years later because none of his providers were willing to give a current opinion on his level of functionality. Surveillance showed Griffin walking at a quick pace and moving “without observable bracing or support.” Hartford’s investigator reported that during the in-person interview of Griffin that he observed Griffin moving about without significant trouble and Griffin reported not receiving any treatment for his condition for over six months. Two of Griffin’s doctors reported not seeing him in over a year and his chiropractor reported that he was no longer restricting him anymore. On Griffin’s appeal, he submitted a letter from a doctor stating that he believed Griffin was being honest and was very likely to have some disability, but subsequent telephone calls with that doctor and Hartford Life revealed that these assertions were based solely on Griffin’s self-report of pain. What this decision should highlight for claimants is the value of regular ongoing treatment even if you have a chronic permanent medical condition. From the claimant’s perspective, when one suffers from an intractable condition or disability that can only be monitored and not improved with treatment, going to the doctor to report that everything is the same is often a pointless exercise. And, when one is on disability and money is tight, medical visits will often take second place to paying the rent and putting food on the table. 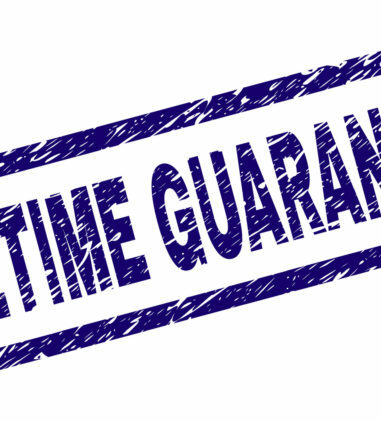 Even though common sense might dictate that for some conditions frequent doctor’s appointments are futile for purposes of treatment, courts are for the most part persuaded by insurance company arguments that the lack of treatment records signifies improvement or a lack of disability. Though this may not be right or fair, claimants would be well-advised to check in with their doctors on a regular basis. Peters v. Aetna Inc., Aetna Life Insurance Company, & Optumhealth Care Solutions, Inc., No. 1:15-CV-00109-MR, 2018 WL 3614003 (W.D.N.C. July 27, 2018) (Judge Martin Reidinger). This is a putative class action against Defendants asserting RICO and ERISA claims on the allegation that they engaged in a fraudulent scheme to have insureds pay subcontractors’ administrative fees by misrepresenting the fees as medical expenses. The court denied Plaintiff leave to amend the Complaint at this late date in order to re-assert her RICO claims (dismissed two years earlier) because it would be futile and it would prejudice Defendants by forcing them to incur expenses related to further discovery. Meiners v. Wells Fargo & Co., No. 17-2397, __F.3d__, 2018 WL 3685525 (8th Cir. Aug. 3, 2018) (Before GRUENDER, ERICKSON, and GRASZ, Circuit Judges). 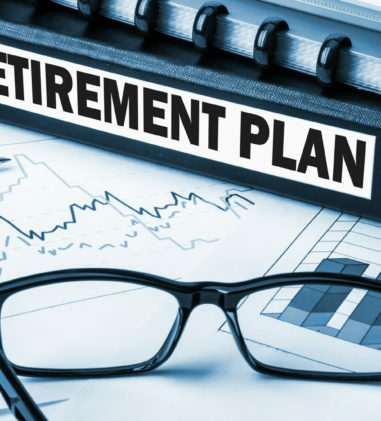 The court affirmed the district court’s dismissal of Plaintiff’s lawsuit alleging breach of fiduciary duty against Defendants for failing to remove their expensive and underperforming funds from the 401(k) plan. The court concluded that the Complaint fails to demonstrate that the Wells Fargo Target Date Funds were an imprudent choice. Because the funds were not an imprudent choice, retention of those funds was not unlawful. In re Harris, No. 17-1261, __F.3d__, 2018 WL 3685766 (8th Cir. Aug. 3, 2018) (Before SMITH, Chief Judge, MURPHY and COLLOTON, Circuit Judges). The Eighth Circuit affirmed the bankruptcy court’s conclusion that Harris had fiduciary obligations regarding the funds that had been withheld from wages for payment to HealthPartners and that he committed defalcation in late March 2009 when he chose to use plan assets to pay himself and other corporate expenses instead of remitting those assets to HealthPartners. The court affirmed the Eighth Circuit Bankruptcy Appellate Panel’s decision to affirm the bankruptcy court’s grant of summary judgment in the DOL’s favor on declaring nondischargeable a judgment entered against Harris. Acosta v. Arlett, et al., No. CV 17-2827, 2018 WL 3688488 (D.D.C. Aug. 2, 2018) (Judge Rudolph Contreras). The court granted the Secretary’s motion for default judgment against Defendants in the amount of $128,317.96 in damages and various equitable remedies for failure to remit employee participant contributions to the 401(k) profit sharing plan and for remitting certain contributions late. Griffin v. Hartford Life & Accident Ins. Co., No. 17-1251, __F.3d__, 2018 WL 3624872 (4th Cir. July 31, 2018) (Before WILKINSON and NIEMEYER, Circuit Judges, and Richard M. GERGEL, DJ for D. SC, sitting by designation). See Notable Decision summary above. Eaton v. Reliance Standard Life Insurance Company, No. 216CV02764TLPCGC, 2018 WL 3639837 (W.D. Tenn. July 31, 2018) (Judge Thomas L. Parker). Plaintiff alleged disability from his job as an inventory clerk (medium strength work) based on symptoms related to post-discectomy back pain and bilateral carpal tunnel syndrome. In finding that Reliance Standard’s denial of Plaintiff’s long-term disability claim was not arbitrary and capricious, the court rejected Plaintiff’s arguments about the propriety and significance of video surveillance. The insurance company is able to conduct surveillance and rely on it. “It is clear to the Court that the video surveillance did, in fact, reveal inconsistencies between what Plaintiff reported about his health and what he could do. The March and April 2016 videos show Plaintiff easily moving about with no physical indications of pain. There is no footage of Plaintiff limping or barely being able to walk. It stands to reason that, if Plaintiff were, in fact, totally disabled, a surveillance video taken over a long span of time would show Plaintiff in the constant and deliberating pain that he alleges.” The court also determined that it was not arbitrary and capricious for Reliance Standard to rely on the independent file reviews of Dr. Susan Zuckerman. Mesker v. Reliance Standard Life Ins. Co., No. 1:17-CV-85-RLM-TAB, 2018 WL 3657587 (S.D. Ind. Aug. 2, 2018) (Judge Robert L. Miller, Jr.). 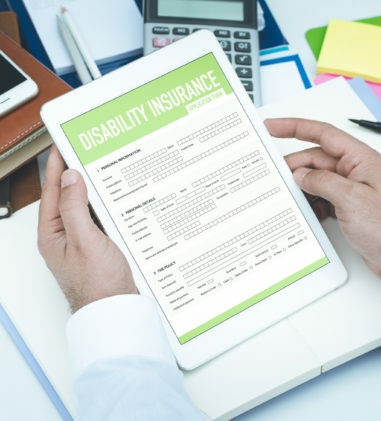 Reliance Standard terminated Plaintiff’s long term disability benefits after finding him disabled for five years due to complications from HIV/AIDS. Reliance took the position that his medical records and the ongoing treatment records don’t support a level of impairment consistent with an inability to work and relied upon Dr. Stoute’s opinion and a residual employability analysis. Under an abuse of discretion standard of review, “Although there is substantial evidence on both sides of the disability issue, the court can’t overturn Reliance’s decision because the record doesn’t show that the rejection was downright unreasonable.” (internal citations and quotations omitted). The court granted Reliance Standard’s motion for summary judgment affirming the denial of long term disability benefits. Ray v. Reliance Standard Life Ins. Co., No. C17-907 TSZ, 2018 WL 3630301 (W.D. Wash. July 31, 2018) (Judge Thomas S. Zilly). On de novo review, the court granted Plaintiff’s motion for judgment under Rule 52. The court concluded that Plaintiff’s IBS with bowel incontinence, which Reliance’s own peer reviewer agreed that she must have ready access to restroom facilities, precluded her from performing her own occupation as a Visiting Nurse, a material duty of which includes frequent travel to patients’ homes. Denney v. Unum Life Insurance Company of America, No. 16-CV-03052-RM-NYW, 2018 WL 3655252 (D. Colo. Aug. 2, 2018) (Magistrate Judge Nina Y. Wang). Unum argued that Plaintiff should be prevented from raising a policy interpretation argument in litigation that she did not raise during the administrative appeals process. The court rejected that “issue exhaustion” argument. “The notion that an insured should be barred, following the substantive denial of benefits, from challenging how an insurer interpreted and applied policy language, particularly when the basis for the denial is not entirely clear …. does not seem consistent with the courts’ interpretation of the statute’s objectives.” The court recommended that “the matter be remanded to the Plan Administrator to identify the duration of Ms. Denney’s coverage under the Policy, including the date the coverage terminated or lapsed, and to state the specific basis for finding that the coverage terminated or lapsed.” The court also found that Unum’s Vocational Rehabilitation Consultant did not err in how he defined the duties of Plaintiff’s position of Training Representative where he used a definition of how her occupation is normally performed in the national economy and took the travel requirement into consideration. Acosta v. WPN Corporation, et al., No. CV 14-1494, 2018 WL 3707418 (W.D. Pa. Aug. 3, 2018) (Judge Nora Barry Fischer). The court denied Defendants’ motion to disqualify Plaintiff’s expert witness, Dr. Susan Mangiero, who Plaintiff proffered “as an expert witness to assist the fact finder in understanding the prevailing standard for the Retirement Committee fiduciaries monitoring their investment manager, Mr. Labow, and determining whether or not they met the standard that was required of them under ERISA.” The court determined that she has met each of the Daubert requirements. Peters v. Aetna Inc., Aetna Life Insurance Company, & Optumhealth Care Solutions, Inc., No. 1:15-CV-00109-MR, 2018 WL 3616923 (W.D.N.C. July 27, 2018) (Judge Martin Reidinger). 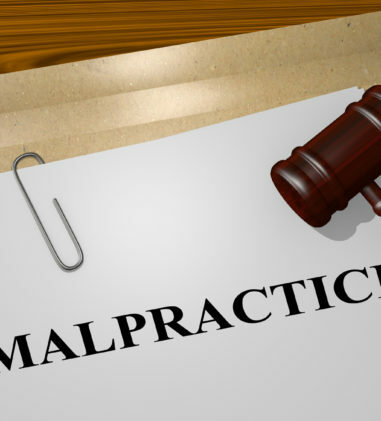 Plaintiff alleges that Aetna and Optum fraudulently misrepresented administrative fees as medical expenses and moved to compel Defendants to produce certain documents that Defendants have redacted or withheld as privileged. The court determined that Plaintiff has failed to demonstrate that Optum was functioning as a fiduciary with respect to any aspect of the Mars Plan so the fiduciary exception does not apply, and Optum is not required to produce any documents that it has claimed are subject to the attorney-client privilege. 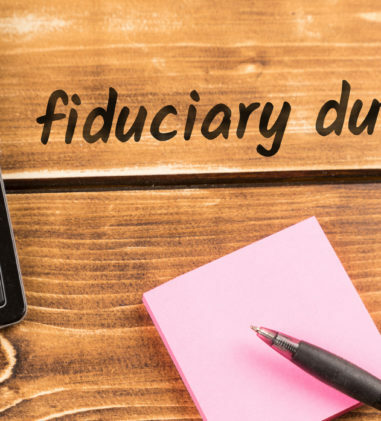 The court also concluded that Aetna should not be required to produce documents that do not fall within any fiduciary function under the plan or any other plan under the fiduciary exception to the attorney-client privilege. The court declined to do an in camera inspection of additional documents that do not appear to involve Aetna’s fiduciary function, but rather concern advice to protect Aetna from liability. Atlantic Shore Surgical Associates v. Local 464A United Food and Commercial Workers Union Welfare Fund, et al., No. CV1712166MASDEA, 2018 WL 3611074 (D.N.J. July 27, 2018) (Judge Michael A. Shipp). The court found that the state law claims brought by the provider against the Fund are not preempted by ERISA because they the case fails both prongs of the Pascack preemption analysis. “As to the first prong, Plaintiff is not a participant or beneficiary as defined by ERISA and does not attempt to assert the rights of “CC” when bringing the contract and quasi-contract state law claims.” “Moreover, a reference to an ERISA plan in a complaint does not necessarily convert a state-law cause of action into a federal one.” Regarding an independent duty, “[t]he allegations in the Complaint do not cite the ERISA plan as the basis for any payment. 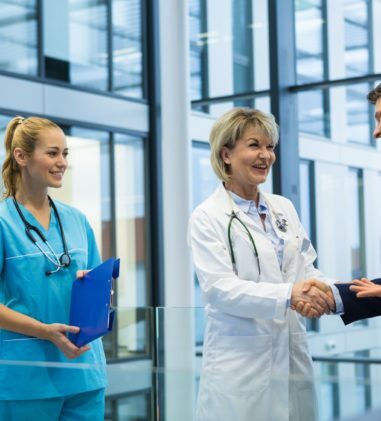 Defendants claim that the sole allegation underpinning Plaintiff’s claims is an authorization that was provided to the hospital, not provided to Plaintiff.” The court granted Plaintiff’s motion to remand to state court. Advanced Orthopedics and Sports Medicine Institute v. Blue Cross Blue Shield of New Jersey, No. 317CV11807BRMLHG, 2018 WL 3630131 (D.N.J. July 31, 2018) (Judge Brian R. Martinotti). The court granted Plaintiff’s motion to remand to state court because Plaintiff cannot bring a claim under Section 502(a) even though Plaintiff accepted an assignment from the plan participant because the plan prohibits assignments. 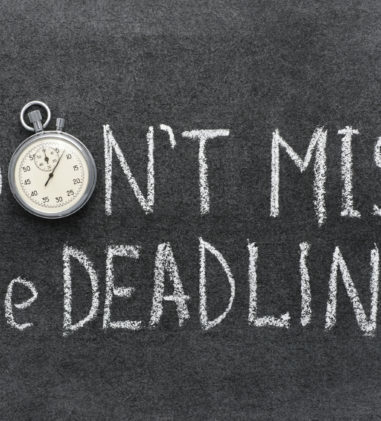 Because the plan prohibits assignments, the provider’s claims cannot be construed as claims for benefits pursuant to ERISA Section 502(a)(1)(B). Davidson v. Hewlett-Packard Co., No. 5:16-CV-01928-EJD, 2018 WL 3659053 (N.D. Cal. Aug. 2, 2018) (Judge Edward J. Davila). The pro se plaintiff with ALS brought emotional distress and negligence claims against Defendants for their alleged threats to end his skilled care or provide medical treatment. The court found these claims not preempted by ERISA. Plaintiff alleged that his employer made a promise in August 2015 “separate and apart from the terms of the plan” that he “would be taken care of.” The court determined that the August 2015 agreement constitutes a separate arrangement and do not relate to any employee benefit plan governed by ERISA. Lawrence v. Potter, No. 2:17-CV-1239 TS, 2018 WL 3625329 (D. Utah July 30, 2018) (Judge Ten Stewart). In this action alleging that Defendant breached her fiduciary duty under ERISA and engaged in actions prohibited by ERISA, and also asserting state-law claims for breach of fiduciary duty, breach of legal duty, securities fraud, fraud, and negligent misrepresentation, the court determined that the state-law breach of fiduciary duty, breach of legal duty, fraud, and negligent misrepresentation claims are preempted by ERISA. 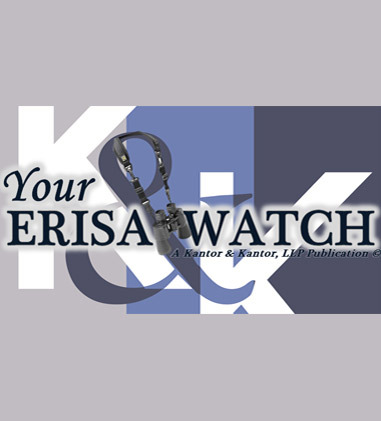 The court determined that the securities claims are not preempted by ERISA. Hansen v. International Painters and Allied Trades Industry Pension Plan, et al., No. CV 16-5028, 2018 WL 3642297 (E.D. Pa. Aug. 1, 2018) (Judge Robert F. Kelly, Sr.). The court determined that Defendant properly excluded hours for workers’ compensation, unemployment compensation and vacation pay from Plaintiff’s hours under Covered Employment for purposes of determining his eligibility for disability pension benefits. 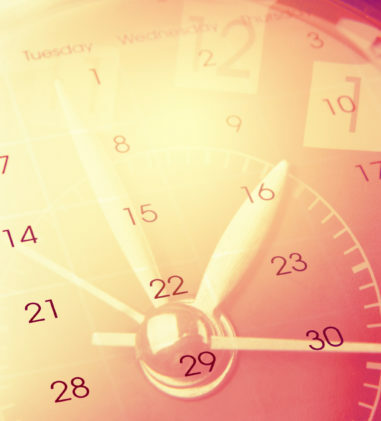 Without these hours, Plaintiff did not meet the minimum 1,000-hour requirement for a disability pension. Paul v. RBC Capital Markets LLC, et al., No. C16-5616 RBL, 2018 WL 3630290 (W.D. Wash. July 31, 2018) (Judge Ronald B. Leighton). Plaintiffs allege that Defendants violated ERISA by “improperly forfeiting millions of dollars of deferred, unvested compensation that Paul and Buskirk claim they earned by participating in RBC’s Wealth Accumulation Plan (WAP).” The court determined that the WAP’s status as a top hat plan is a question of fact requiring a trial because the court cannot determine as a matter of law that the WAP participants did not have enough influence over the plan to permit the factual finding that it was a top hat plan. The court dismissed the Section 502(a)(1)(B) claim because Plaintiffs seek relief not available under ERISA in that they seek to change the terms of the WAP (to delete the forfeiture provisions) rather than enforce the terms. The court also dismissed the breach of fiduciary duty claim because there is no support for the claim that “a plan sponsor breaches its fiduciary duty by erroneously believing that its plan was a top hat plan, and administering and managing the plan on that basis.” Lastly, Plaintiffs claims are not time-barred because the claim accrued when they were denied the benefits and not when they became aware of the WAP’s terms. Gregson v. Metropolitan Life Insurance Company, No. 3:13-CV-00678, 2018 WL 3655388 (M.D. Tenn. Aug. 2, 2018) (Judge Aleta A. Trauger). In this case where the pro se plaintiff’s former attorney, “did virtually nothing in the case for over two years, until Judge Haynes dismissed the case for failure to prosecute,” the court granted Plaintiff’s motion for relief from the judgment under Rule 60(b)(6). McCleskey v. CWG Plastering, LLC, No. 17-1980, __F.3d__, 2018 WL 3629064 (7th Cir. July 31, 2018) (Before Wood, Chief Judge, and Easterbrook and Hamilton, Circuit Judges). The Funds sued CWG, asserting that CWG is Gianino Plastering’s successor and alter ego and thus liable for both the $196,940.73 judgment and for other ongoing violations of the collective bargaining agreement. (Notably, CWG was founded by the son of the owner of Gianino and started the same day that the judgment was entered against Gianino.) The Seventh Circuit reversed the district court’s decision that the Funds had not proffered enough evidence that a trier of fact could use to support its case against CWG. CWG forfeited its argument that state law should apply. The court determined that federal law should apply to the questions of alter-ego and successor liability. Johnson v. Retirement Plan of General Mills, Inc. and The Bakery, Confectionary, Tobacco And Grain Millers International Union (BCTGM), No. 416CV00151TWPDML, 2018 WL 3630275 (S.D. Ind. July 31, 2018) (Judge Tanya Walton Pratt). “The Court agrees with Johnson that the FAA supports lifting the stay due to the Plan’s failure to pay the AAA Fee to initiate arbitration, pursuant to the Release. Not only did the Release entitle the Plan to arbitrate, but the Plan also had the benefit of this Court’s order compelling arbitration. Therefore, the eleven-month delay in initiating arbitration falls squarely within § 3 as a default in proceeding with arbitration. The Plan’s inaction has prejudiced Johnson in delaying a resolution of this case [for disability retirement benefits] on the merits.” The court granted Plaintiff’s motion to lift the stay. Cypress Med. Ctr. Operating Co., Ltd. v. Aetna Life Ins. Co., No. 16-20674, __F.3d__, 2018 WL 3635231 (5th Cir. July 31, 2018) (Before SMITH, WIENER, and WILLETT, Circuit Judges). The providers allege that Aetna underpaid out-of-network providers in violation of ERISA. Aetna counterclaimed that the providers fraudulently and negligently misrepresented its billing practices. “The district court granted Aetna judgment as a matter of law on NCMC’s ERISA claims and granted NCMC judgment as a matter of law on Aetna’s fraud and negligent misrepresentation counterclaims. And a jury found in favor of Aetna on NCMC’s remaining state law claims.” The Fifth Circuit, noting the “virtual stalemate,” affirmed “the district court’s orders granting NCMC judgment as a matter of law on Aetna’s fraud and negligent misrepresentation claims and granting Aetna judgment as a matter of law on NCMC’s ERISA claim. We also AFFIRM the court’s denial of Aetna’s motion for leave to amend, as well as the district court’s evidentiary rulings.” The court vacated the district court’s denial of NCMC’s motion for attorney fees and issued a limited remand for an explanation. Lawrence v. Potter, No. 2:17-CV-1239 TS, 2018 WL 3625329 (D. Utah July 30, 2018) (Judge Ten Stewart). 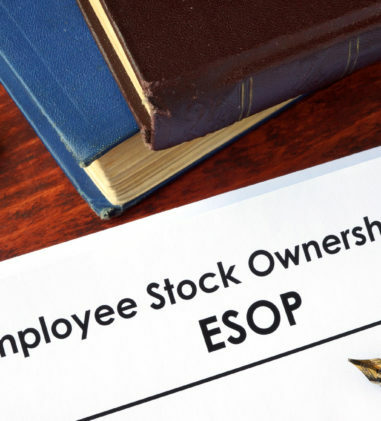 In this action alleging that Defendant violated a number of laws with respect to the management of an ESOP, the court dismissed the punitive damages claim because the state common law claims are preempted and ERISA doesn’t permit punitive damages. The court also dismissed the Defendant’s counterclaim seeking contribution under ERISA because there is no right of action for contribution and indemnification. Robertson v. Pfizer Retirement Committee, et al., No. CV 18-0246, 2018 WL 3618248 (E.D. 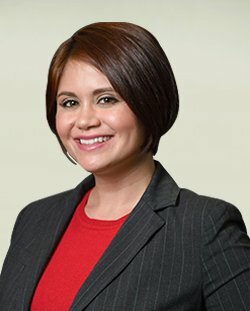 Pa. July 27, 2018) (Judge Nitza Quinones Alejandro). The Court determined that the Plan’s forum-selection clause is valid and enforceable because it is not incompatible with the venue provision of ERISA and that Plaintiff received adequate notice of the amendment including the clause. Plaintiff has not met his burden in showing that the public-interest factors identified in Jumara weigh against a transfer.